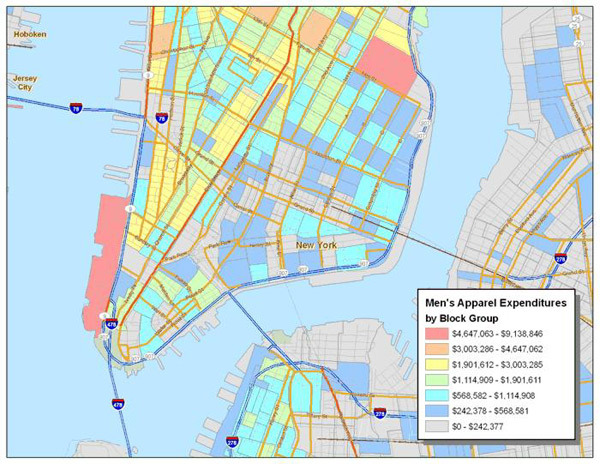 Target marketing maps such as this one showing consumer expenditures are men's apparel help marketer's identify the hot areas for their products and services, leading to better target marketing and site selection. In this target marketing map, the red block groups show the highest expenditures and the gray block groups the lowest expenditures. Mapping Analytics provides many data sets allowing both consumer and business marketers to better analyze and reach their target markets.